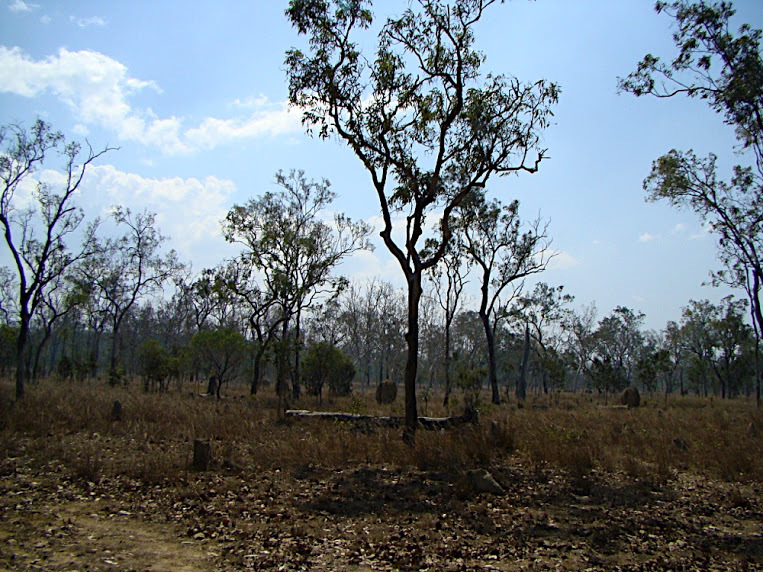 I am currently doing my PhD field work, which involves interviewing people about the governance aspects of landscape-scale biodiversity conservation. Driving through a number of different landscapes over the past 5 weeks has reinvigorated my interest in the ways aesthetic preferences affect the way we interact with landscapes. At first aesthetic preferences seems a rather in banal aspect on which to place my focus. However, such preferences influence our perceptions ecosystem health and the conservation actions we think are required (or not required) in a landscape. My interest in the topic was sparked when I first moved to Australia. I was given a similar disclaimer every time someone took me out into the bush**: “It takes some getting used to.” After walking around for a bit, they would tentatively ask, “So what do you think?” I always responded that I thought it was beautiful. I tend to prefer “messy” landscapes to “tidy” ones, and the Australian bush tends to fall into the former category. Burned area in Wireless Hill Park in Perth. 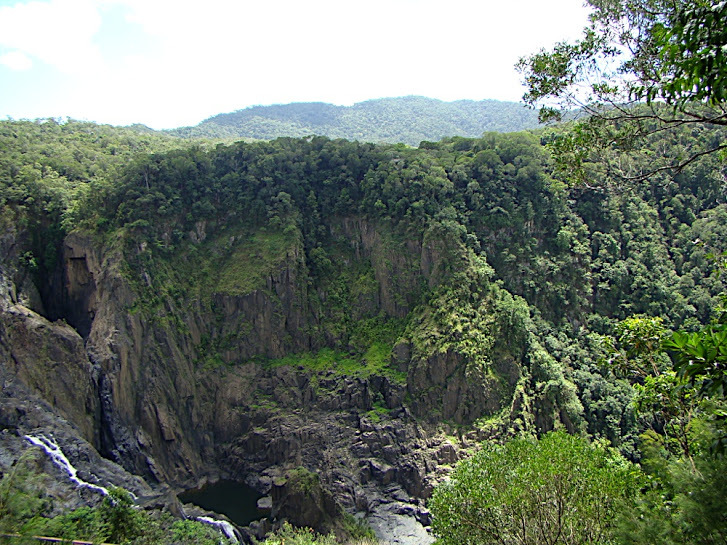 In the Atherton Tablelands in Queensland. Those are termite mounds between the trees. Both personally and professionally, I have found that many Australians, even those born and raised here, have aesthetic preferences that align much more with their European heritage than the realities of the Australian environment in which they live. On settlement, the intention in many places in Australia was, in fact, to create a ‘Little England’, despite the fact that the environments are wildly different. This includes Tasmania, where one of my case study regions is located (see, e.g. 1). The Australian bush generally doesn’t fit the European aesthetic. 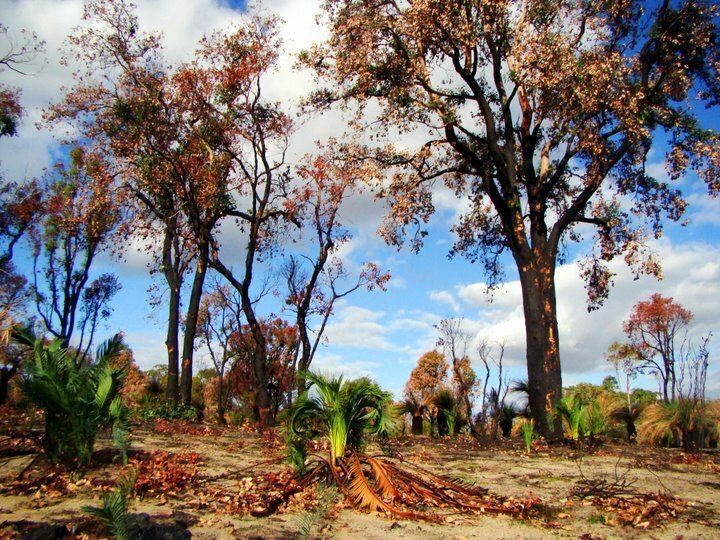 The trees are often messy, woodlands are often too open or too dense and shrubby, the landscape is often burnt, and for much of the year it can look pretty dry. Though many of our ecosystems in Australia qualify as among the most biodiverse in the world, you have to know what you’re looking at to realise that. There are exceptions, of course, and I have included some of those exceptions in this post. What really gets me thinking, however, is the way our aesthetic preferences affect the way we perceive and manage landscapes, particularly when there is a mismatch between these preferences and the dynamics of the ecosystem. 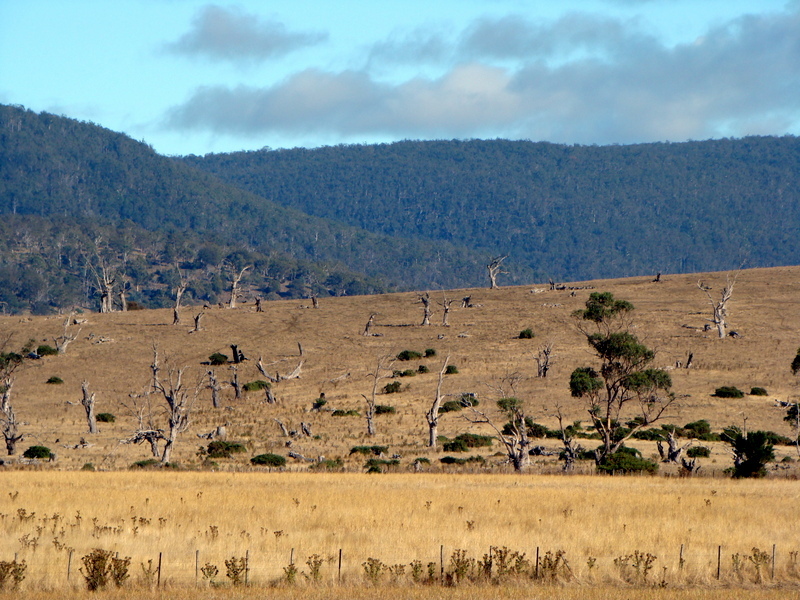 Standing dead trees in the Tasmanian Midlands. Does this decline mean we should more urgently attend to issues in the landscape? Or does it send a signal to you that the system is too far gone? way we perceive them has implications for the way we interact with them. Aesthetic preferences are an important component of that perception. For non-experts, scenic beauty serves as a surrogate for ecosystem health. If we think a natural area is beautiful, we are more likely to view it has healthy. Sometimes beauty comes from our perception that the place is “pristine” or “untouched” (though we are very bad at assessing whether or not that is the case). Downed wood from logging is one of the most influential variables in lay people’s perceptions of forest health (e.g. 2). But we aren’t entirely consistent with the way we interpret signs of human influence. We also interpret some signs of management (e.g. weeding, thinning of understorey) as “cues to care” that indicate a forest has a caretaker and is therefore healthier (3). “Messy” ecosystems, like some of those that I have shown in this post, are not only under-appreciated aesthetically, but we often have trouble translating such chaos into ecosystem function. Landscape-scale is the focus of my research because it is the scale at which many major threats operate. The term is nebulous and defined differently by landscape artists, planners, and ecologists. However, let’s settle for now on a notion of a landscape as something that does not extend beyond our “perceptible realm”, as humans have great difficulty engaging in other scales of interest (4). Why is this important? Does this grassland invoke the same feelings you would have in a forest? What if you knew it was an endangered grassland? For the sake of brevity, I won’t discuss all of the literature on this. I want to just focus for a moment on my thoughts and experiences, as this is the benefit to having a personal blog, after all! In my experience, there are many people who do not appreciate the biodiversity values of Australian landscapes unless they fit a particular aesthetic mode. This certainly seems to be the case where I live, in Perth, and I have heard time and time again from people who think our bush is “pretty average” *** This in spite of the Southwest corner of Western Australia being a biodiversity hotspot. Yet the key, I think, is actually in that classification itself. Biodiversity hotspots are identified as such not just by virtue of their biodiversity values, but the fact that those values are under threat. But you won’t see WA residents coming out in droves to protect their local patch, even if they will come out to protect an iconic bit of wilderness that is much more aesthetically pleasing. Are the threats perceived as less threatening because we are underwhelmed by the bush? I don’t know, but I do wonder. 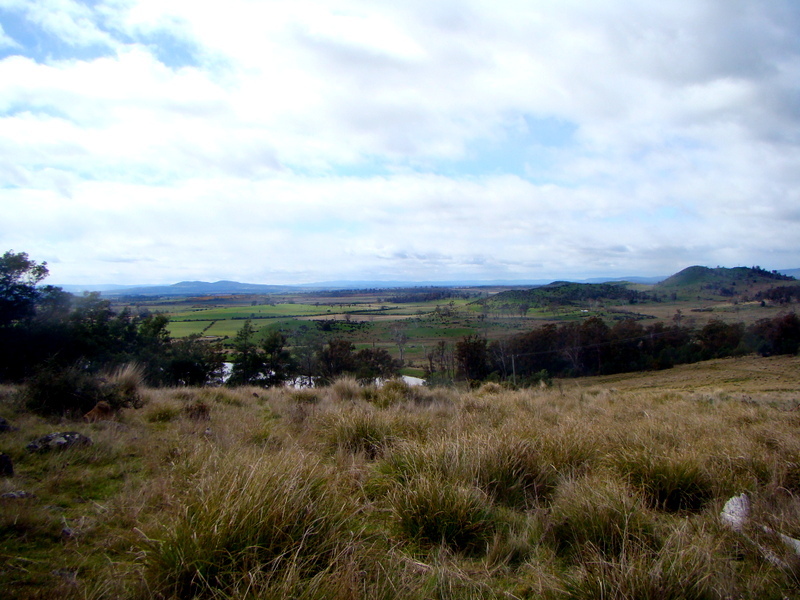 In the Tasmanian Midlands, we have a critically endangered ecological community (i.e. 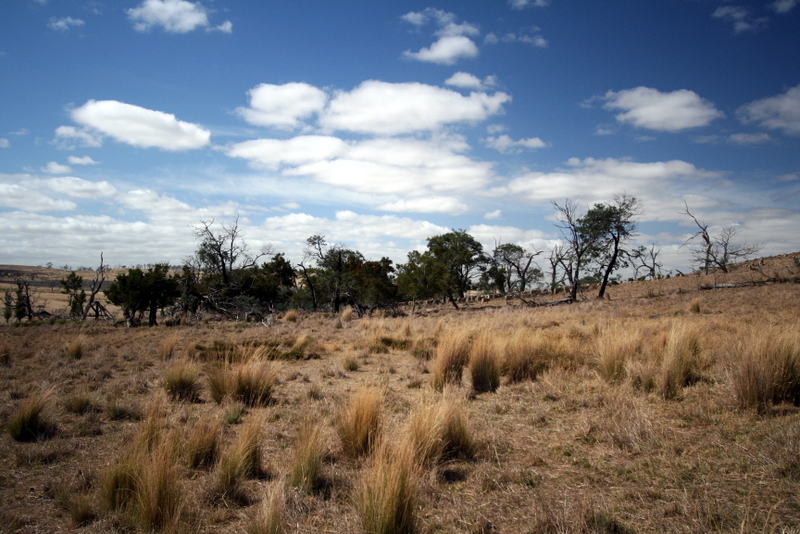 the Lowland Native Grasslands). Yet if you ask most Tasmanians about this region, many will tell you that it’s the agricultural wasteland between Hobart and Launceston. Though many of the landholders recognise what they have, many others perceive a landscape that is highly modified and a bit of a lost cause at this point. On a research field trip to the region, I heard one person refer to conservation in the Tasmanian Midlands as “conservation for connoisseurs”. Like a fine food or drink that may not taste great to an unrefined palate, the midlands landscape may not look like a landscape worthy of our protection and resource investment. It may just look like a region full of sheep and poppies with few “natural” values left, and there are certainly problems with ecosystem function in this landscape. But the fact is that this does not mean the biodiversity values are gone, and that many of these are actually an important part of the social and economic viability of that landscape. Does the fact that it doesn’t look like some of Tasmania’s other, more iconic landscapes make it less worthy of protection? The relationship between aesthetics and biodiversity conservation policy and management is complicated, but I do think it is important. Biodiversity conservation is, and probably always will be, normative. And non-expert judgments of ecosystems often hinge on aesthetic perceptions, as these drive our connection to iconic places. This has very obvious implications. 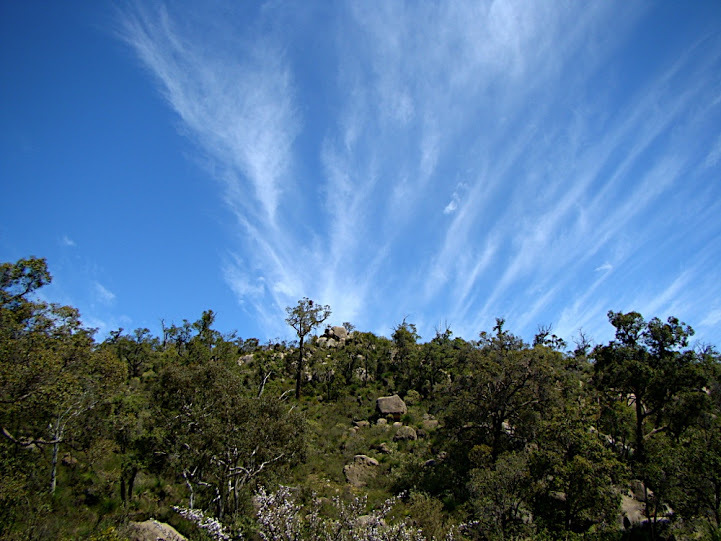 Destruction of grasslands don’t bring people out in droves; but forests do…certainly in Tasmania. It may also be more difficult to convince people to invest in these less conventionally “beautiful” landscapes, especially in times of limited resources in which the iconic landscapes like the Tarkine, Kimberley, and the Great Barrier Reef are under threat and worth of protection as well. My point here is not that we shouldn’t protect iconic landscapes, nor is it that we should favour messy landscapes because they are the underdog of conservation. My point is that we cannot trust that our perceptions of an ecosystem can tell us about its value. Just like many of our other sensory experiences, I think we operate under an illusion of scenic beauty and need to challenge our natural inclinations. Though I do not operate under the misguided assumption that knowledge cures all environmental ills, I do think that we should pause before jumping to conclusions about the ecological value of a landscape in the absence of knowledge about its function. I personally love the Tasmanian Midlands landscape, but I also saw it for the first time on a research trip with knowledgable guides. Perhaps I would have felt the same way even if the circumstances were different. I don’t know. There is one thing that I do know for certain, however, and that’s that the adage to not judge a book by its cover doesn’t just apply to people. My move to Australia has taught me that things of great value can often be found in the most unassuming packages. Near Tunbridge Township Lagoon in the Tasmanian Midlands. *The title of this post comes from an article that seeks to find a balance between expert-driven landscape planning that leans heavily on biophysical aspects of the landscape and perception-driven approaches that favour socio-cultural perceptions (5). 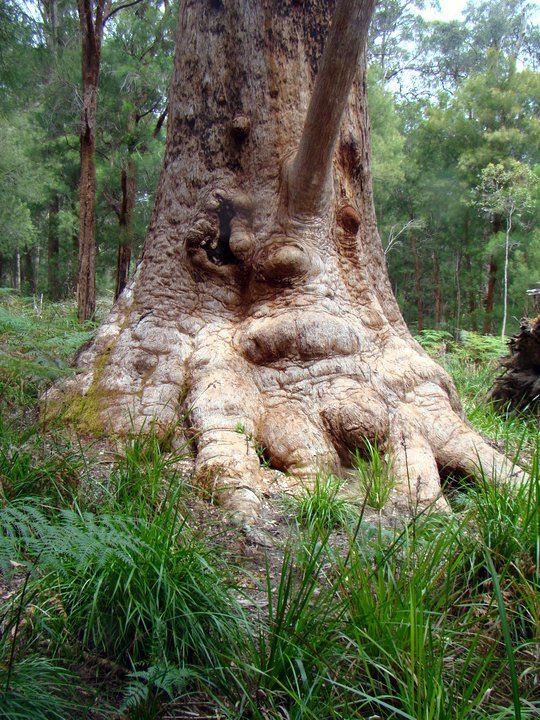 ** In Western Australia, all forest seems to be referred to as “the bush” but in other places in Australia, I more often hear the words forest and woodland. Not sure if there are regional differences, but “the bush” is kind of a signature term in Australia. *** In Australian terms “pretty average” generally means not good at all…just inoffensive I guess. For example, if you go out on a blind date and your friends say “was she hot?” and you say “she was pretty average” that basically means you weren’t attracted to her. Australians also often use it when they dislike something, but they don’t want to whinge. Example: “What do you think of the way X government programs is run?” They may say, “It was pretty average” but when probed further will offer a string of reasons why it was, in fact, below average. 1. Boyce, J. 2008. Van diemen’s land, Melbourne, Vic. : Black Inc.
2. Nassauer J.I. 1995b. Messy ecosystems, orderly frames. Landscape Journal, 14: 161-170. 3. Ribe R.G. 1991. The scenic impact of key forest attributes and long-term management alternatives for hardwood forests. In: McCormick, Larry H.; Gottschalk, Kurt W., eds. Proceedings, 8th CentralHardwood Forest Conference; 1991 March 4-6; University Park, PA. Gen. Tech. Rep. NE-148. Radnor, PA: U.S. Department of Agriculture, Forest Service, Northeastern Forest Experiment Station: 34-54. 4. Gobster, P. H., Nassauer, J. I., Daniel, T. C. & Fry, G. 2007. The shared landscape: What does aesthetics have to do with ecology? Landscape Ecology, 22(7), 959-972. See a copy free here. 5. Daniel T.C. 2001. Whither scenic beauty? Visual landscape quality assessment in the 21st century. Landscape and Urban Planning, 54(1): 267-282.